New research proposes two ways of using wealth taxes to reduce inequality and increase efficiency. In a highly globalized and technologically advanced world, policies for redistribution that mainly rely on wage income taxes are no longer sufficient to counteract this trend.1)It has previously been argued in this blog that this insufficiency is a consequence of strongly increased pre-tax income inequality induced by accelerated technological change and globalization. Pre-tax income inequality took a different form when the income tax system was designed. An increased concentration of wealth owned by a small share of society further deepens income disparities: The reason is that wealth, if well invested, generates additional income. 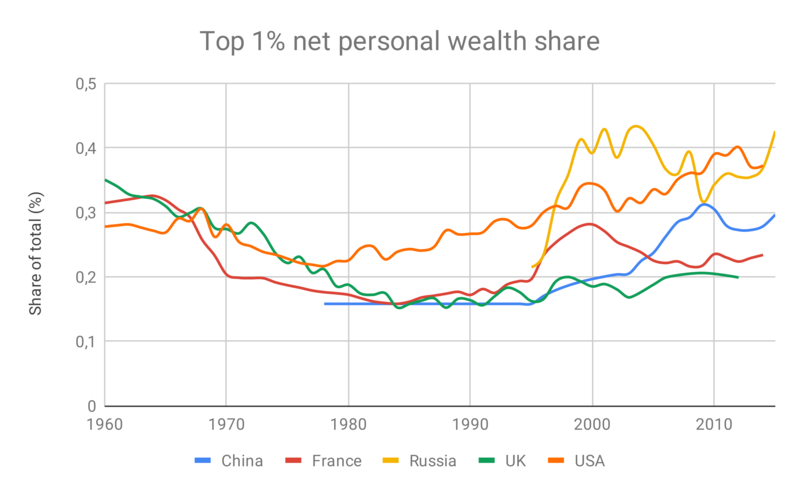 This process is illustrated by the unequal development of income shares over the last decades: While income shares of the top 1 percent and 10 percent grew by several percentage points in China, India, Europe, Russia, and the United States since 1980, the income share of the bottom 50 percent fell by several percentage points over the same timespan (Alvaredo et al., 2018). Recent research, to which we have contributed, shows better ways to think about taxing wealth that avoid the two classic objections. Wealth taxes can reduce wealth disparities without compromising efficiency; it can sometimes even increase economic growth. One way is to realize that wealth not only consists of producible capital, but also of non-producible (or “fixed’’) factors. Fixed factors generate rents—that is, payments in excess of what is needed to sustain production. Taxing these rents can enhance efficiency and, potentially, reduce inequality. Another way is to use capital tax revenue not for direct redistribution but rather for financing public investment, which is severely under-funded in rich countries (see Bom and Ligthart, 2014). 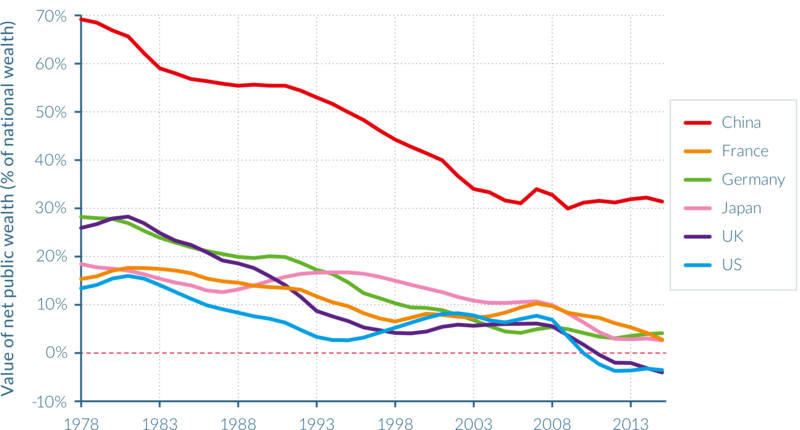 This under-funding is illustrated by the fact that public wealth as a share of national wealth has fallen in major economies (see figure 2). In France, for example, public wealth decreased from around 20 percent to 3 percent over the course of the last four decades; and spending on public construction in the United States has fallen to 1.4 percent of GDP in 2017, the lowest share on record (The Economist, 2017). In the first way, one prominent example of a rent-generating fixed factor is land.2)Monopolies also generate rents, since they can overcharge consumers due to their lack of competition. This practice increases inequality and reduces productivity in the long term. A detailed discussion on the relationship between monopolies and inequality can be found on this blog in an interview with Angus Deaton. The owner of a piece of land in a major city can charge a much higher rental rate than the owner of a piece of land somewhere in the countryside, simply because urban land is scarce. Its value is derived from the totality of benefits of being in a city. In economics, it is common knowledge that taxing land is not distortionary, i.e., there is no efficiency loss from it. The reason is that, as an approximation, scarce urban land is fixed: Land owners cannot pass on a land tax through higher prices. The supply of urban land is inelastic—that is, a price increase will not affect its supply—while its demand is not. Feldstein (1977), however, discovered that a tax on land rents can indeed be distortionary, by inducing a shift in the portfolio of investors when they hold more than one asset. Edenhofer et al. (2015) show that such a “portfolio effect” can be welfare-enhancing if there is too little capital in an economy relative to aggregate consumption, both by increasing growth and reducing inequality between generations.3)Incidentally, this finding has a major implication for another great policy challenge: mitigating climate change. The reason is that decarbonization of the economy collects the rents on fossil resources, and this collection yields additional economic growth as long as there is insufficient private and public capital; see Siegmeier et al. (2018). Franks et al. (2018) extend this analysis to account for wealth inequality within different generations and show that taxing a fixed factor has a mildly progressive effect. Their work also allows for additionally analyzing the equity and efficiency effects of inheritance taxation. They find that combining taxes on a fixed factor with an inheritance tax reduces inequality more strongly, while preserving the efficiency-enhancing effect of rent taxation. David Klenert is an economist at the Joint Research Centre of the European Commission. He previously worked as a post-doctoral researcher at the Mercator Research Institute on Global Commons and Climate Change. Linus Mattauch is Senior Research Officer at the Institute for New Economic Thinking at the Oxford Martin School and Lecturer for the Economics of Environmental Change at the Environmental Change Institute, School of Geography and the Environment, University of Oxford. The Economist (2017). Investment in American infrastructure is falling. 1. 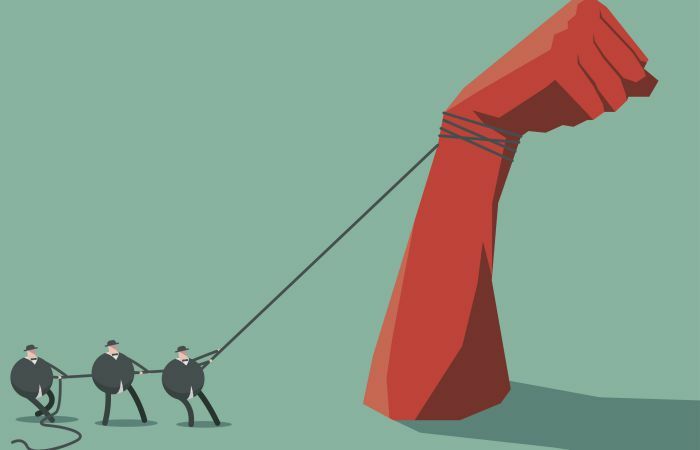 ↑ It has previously been argued in this blog that this insufficiency is a consequence of strongly increased pre-tax income inequality induced by accelerated technological change and globalization. Pre-tax income inequality took a different form when the income tax system was designed. 2. ↑ Monopolies also generate rents, since they can overcharge consumers due to their lack of competition. This practice increases inequality and reduces productivity in the long term. 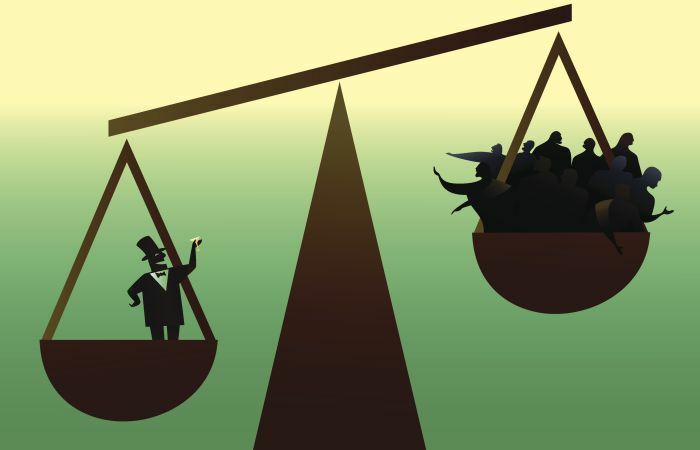 A detailed discussion on the relationship between monopolies and inequality can be found on this blog in an interview with Angus Deaton. 3. ↑ Incidentally, this finding has a major implication for another great policy challenge: mitigating climate change. The reason is that decarbonization of the economy collects the rents on fossil resources, and this collection yields additional economic growth as long as there is insufficient private and public capital; see Siegmeier et al. (2018).